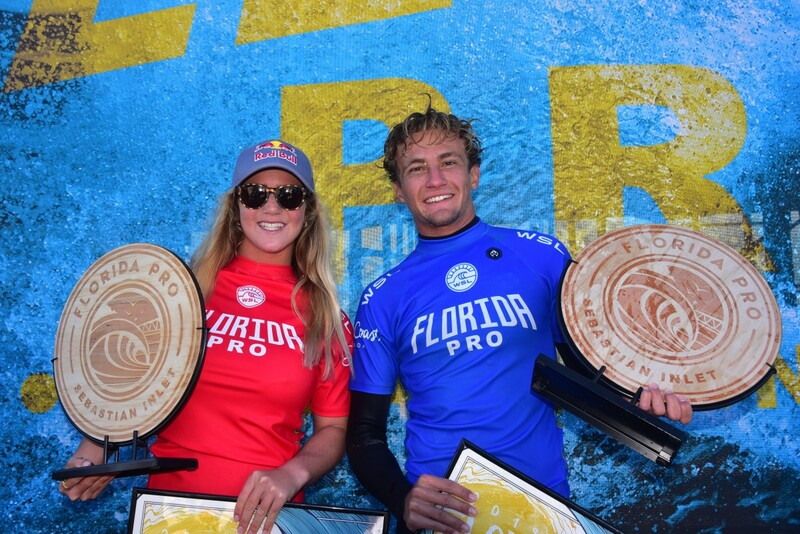 SEBASTIAN INLET, Florida/USA (Friday, January 18, 2019) – The World Surf League (WSL) Men and Women’s Qualifying Series (QS) Florida Pro crowned Caroline Marks (Melbourne Beach, Fla.) and Noah Schweizer (New Smyrna Beach, Fla.) its respective champions after an electric final day of competition. Marks defended her title in amazing fashion with some of the event’s top performances and Schweizer delivered an outstanding, aerial display that led the way to his first-ever QS victory. The stars aligned for Marks once again with another dominant performance that culminated in back-to-back Florida Pro victories. 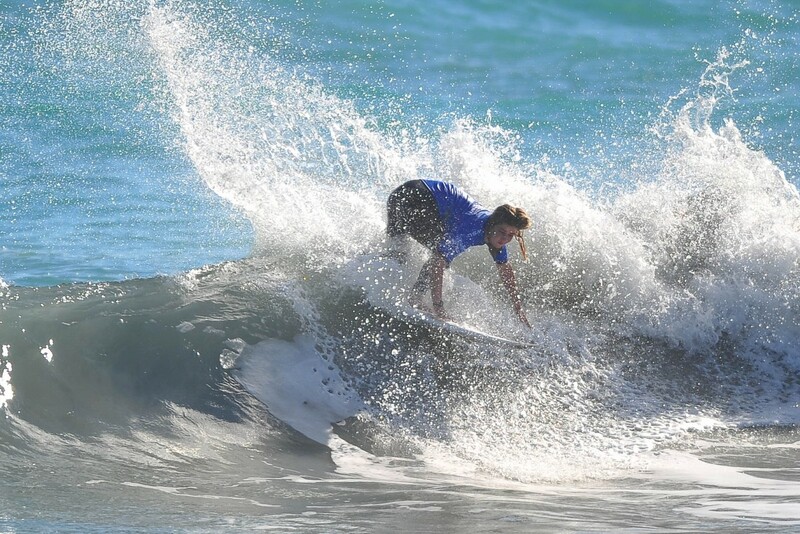 The 16-year-old phenom took over the Final against 2018 World Junior Champion Kirra Pinkerton (San Clemente, Calif.) with brilliant wave choice in the wave-starved heat and still managed to post an excellent 8.83 (out of a possible 10) -- the women's top single-wave score. Marks had her eyes on the win all week and made that a reality to continue her reign over the QS rankings. Marks began her day against one of the event threats, Australian Sophie McCulloch, and shut any hopes of an upset down right away with an excellent 8.50 to set the momentum in motion. The Floridian-turned-California transplant now has three QS titles to her name after posting the event’s highest heat total, a 16.10 (out of a possible 20), in her Semifinal bout as she prepares for her second year among the world’s best at the Championship Tour (CT) level beginning in April. Immediately following Marks’ chair-up the beach to begin the season, an all-New Smyrna Beach, Florida, Final got underway. Schweizer unleashed his aerial assault at the first peak wedge and stomped an excellent 8.50 to start. The wave consistency slowed down with the rising tide and opportunities became scarce, but the 22-year-old was able to back it up with a 6.30 to all but seal his maiden QS win over defending champion Evan Geiselman. Schweizer faced off against fellow New Smyrna Beach native Daniel Glenn in his Quarterfinal but brought the fireworks to a much-anticipated Semifinal against an in-form Michael Dunphy (Virginia Beach, Va.). The 22-year-old posted back-to-back, near-perfect scores with two of the event’s most spectacular air-rotations to garner a 19.30 heat total. Reigning World Junior Champion Pinkerton starts her 2019 QS campaign off in great fashion with a runner-up and 2,250 points. The tricky lineup of Sebastian Inlet’s first peak took the 16-year-old out of her game plan and couldn’t find the waves she needed after a brilliant run through the week. But, Pinkerton still was able to cross off one of her key goals along the way and has many more in mind to get done this season. Geiselman started his day with a nail-biter against upcoming talent John Mel (Santa Cruz, Calif.) that went down to the final minutes. But, Geiselman wasn’t leaving his Semifinal to chance and came out of the gates firing with a 16.23 heat total to start over fellow Floridian threat Chauncey Robinson (Melbourne Beach, Fla.). The inconsistent Final didn’t give Geiselman the opportunities he needed to keep his Florida Pro crown, but gladly handed the title down to long-time friend Schweizer. For more information, please visit www.WorldSurfLeague.com. About the WSL The World Surf League (WSL) is dedicated to celebrating the world's best surfing on the world's best waves through a variety of best-in-class audience platforms. The organization, headquartered in Santa Monica, is a global sport with regional offices in Australasia, Africa, North America, South America, Hawaii, Japan and Europe. The WSL has been championing the world's best surfing since 1976, annually running more than 180 global events across the Men's and Women's Championship Tours, the Big Wave Tour, Qualifying Series, Junior and Longboard Championships, as well as the WSL Big Wave Awards. The League possesses a deep appreciation for the sport's rich heritage while promoting progression, innovation and performance at the highest levels, and in doing so crowns the undisputed Men’s and Women’s World Champions across all tours. Showcasing the world's best surfing on its digital platform at WorldSurfLeague.com, the WSL has a passionate global fan base with millions tuning in to see world-class athletes like Kelly Slater, Stephanie Gilmore, Tyler Wright, John Florence, Lakey Peterson, Paige Alms, Kai Lenny, Taylor Jensen, Honolua Blomfield, Carissa Moore, Gabriel Medina, Courtney Conlogue and more battle on the most dynamic field of play of any global sport.